This is a rare shot. 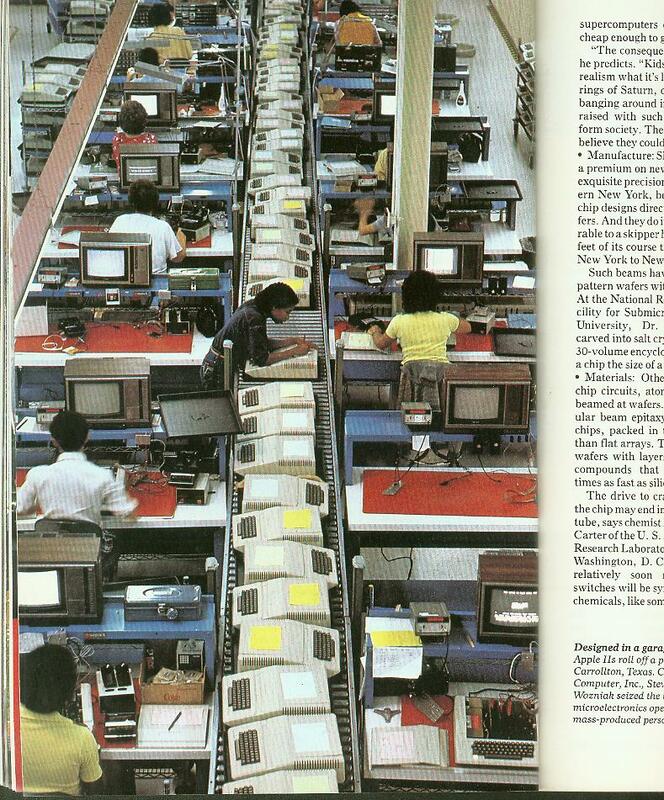 Apple II's being assembled at the plant. look at all of them. they dont even have case badges yet!! this was gotten out of a magizine, from a story at the time when the Mac 1st came out (around 1984) about the success of the (then young) Apple company. Copyright (C) 2004 iamdigitalman. Do not repost without contacting me first.